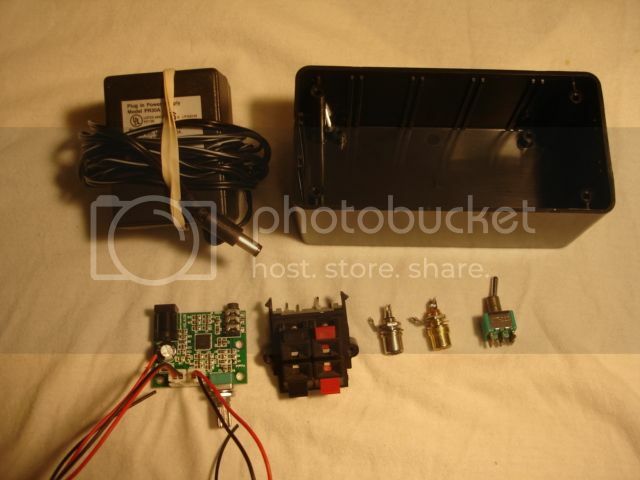 I bought this amp from Parts Express for about $10 including shipping. 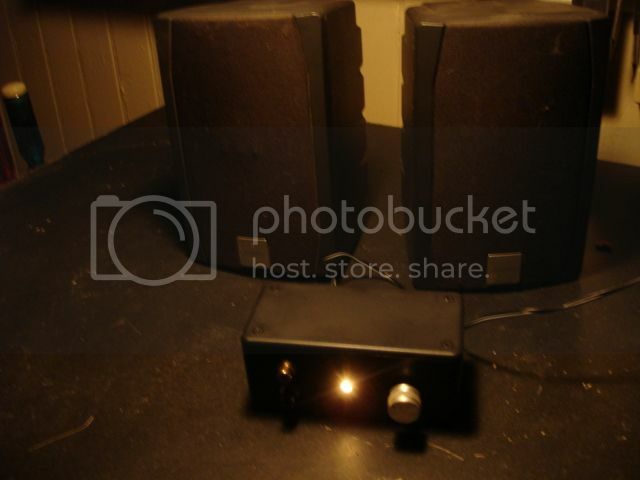 It is a complete 10 watt stereo amp with input jack, output plugs and power jack on an approximately two inch square board. 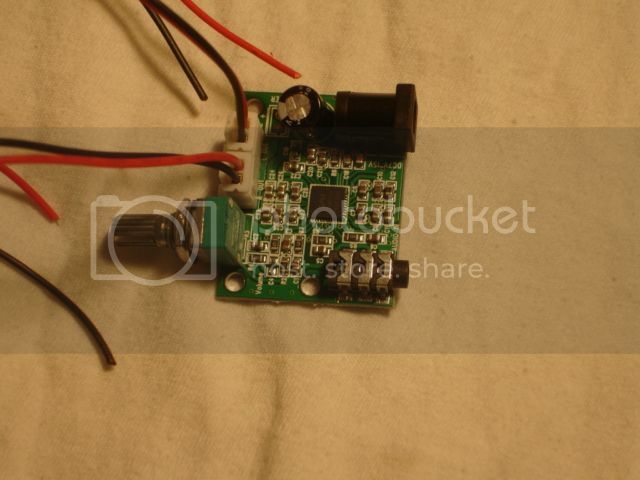 It operates on 5 to 17 VDC. The problem is- what to do with it except hold it in your hand. I decided to break it out into a box to serve as a bench test amp. I added speaker terminals. RCA jacks, an on/off switch, an indicator lamp and a power jack. I hung the amp with the volume control. Now it looks good and sounds great! Nice job, with both the amp, and the presentation! Thanks For Sharing it with us! 75X11 wrote: Nice job, with both the amp, and the presentation! Thanks For Sharing it with us!